Lincoln NE- Back as a top 10 ranked team in the AP Top 25 pool for the time since 2011 the number 10 ranked Huskers fresh off a bye week head to Bloomington to take on a much improved Hoosiers team. The Huskers are off to a 5-0 start including two early conference wins. The Huskers are 2-0 in Big Ten Play with wins over Big Ten West rivals Northwestern, and Illinois. Indiana is sitting at 3-2 and will enter their third straight match up with a ranked opponent. Indiana who is 1-1 in Big Ten Play was able to knock off and knock Michigan State out of the top 25 at home two weeks ago, but wasn’t able to stop Ohio State losing to the second ranked team in the nation by three scores. Will the Huskers move to 6-0? Let’s take a look in depth at their match up with Indiana. The Huskers bye week could not come at a better time as the team had a handful of players go down in their Week 5 win over Illinois. Even with the bye injuries are going to be a factor for the Huskers when they head east to Indiana. Quarterback Tommy Armstrong who will be heading into the game not 100% healthy himself is mostly likely going to be without two of his favorite weapons. Both Wide Receiver Jordan Westerkamp, and Tight End Cethan Carter are doubtful according to Head Coach Mike Riley. Running Back Devine Ozigbo who along with Terrell Newby gets the bulk of the Husker carry’s out of the backfield also may not be able to go on Saturday with an ankle injury. The good news is Wide Receiver Alonzo Moore should be back for the Huskers after missing time with a shoulder injury. The good thing for the Huskers is even without Westerkamp, and Carter the team has plenty of options. 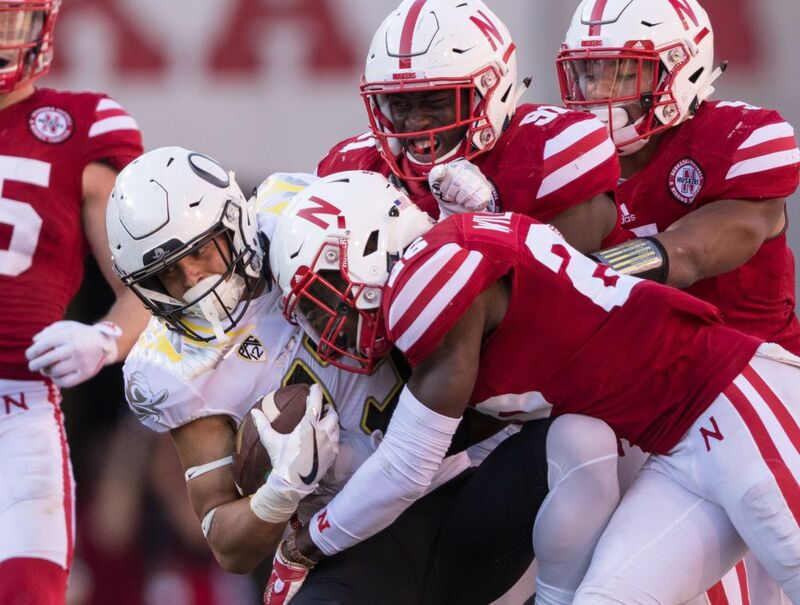 The Huskers depth in the passing game is among the best in the country expect Brandon Riley, Alonzo Moore, De’Mornay Pierson-El, and Terrell Newby who are all capable of making big plays to keep the Huskers offensive a float even without three of their big name players. Another thing to look for with the Huskers offense is Tommy Armstrong running the ball. Armstrong already has 293 rushing yards in five games when he only ran for 400 all of last season. He also has five rushing touchdowns in the first five games. He only had seven rushing touchdowns last season Having Armstrong running well is key for the Huskers success as he comes off a game where he really did not run well. Armstrong averaged 71 yards on the ground in the first four games of the season. In the Huskers Week five game VS Illinois he only ran for 12 yards. Look for the Huskers to get Armstrong running again despite having a bad ankle. Indiana does have a solid defense ranking 31st in the nation so scoring points will be no easy task for Armstrong and company despite all the talent on the roster. On the defense side the Huskers have been great thus far. The team ranks 21st in the nation in total defense and is tied for 11th in the nation in points scored. Nebraska’s defense has been great against the pass raking 21st in the nation, and has been sub par with the run defense ranking 42nd. Indiana hasn’t exactly been an offensive juggernaut ranking 69th in the nation in total offense but do have some play makers the Huskers will need to shutdown. The good news for Nebraska Indiana really relies on the passing game. The team hasn’t at all been able to get things going on the ground as the team has only ran for two touchdowns in their first five games. However their passing game has been solid Quarterback Richard Lagow has a 60% completion percentage this season with 11 touchdown passes and seven picks. The key for Nebraska will be to pick Lagow off as he has averaged over a pick a game. Nebraska’s defense has been great against the pass and the key this weekend to keep up that success will be locking Indiana wide receiver Nick Westbrook a sophomore standout has 431 yards, with four touchdowns including a pair of two touchdown games. Corners Josh Kalu, and Chris Jones JR will have their hands full with Westbrook. Prediction: Indiana has played tough in their first two match ups with top 10 ranked teams beating Michigan State who has had a rough go of it so far in 2016, but were ranked as high as 8th in the nation this season and are the defending Big Ten Champions which led the Spartans to the College Football Playoff last year making a the Indiana win over Michigan State a quality one. The Hoosiers also stayed tight with #2 Ohio State for most of their Week 6 match up last Saturday but ended up falling by a score of 38-17. With all that being said it won’t be a walk in the park for #10 Nebraska by any means when they visit Blommington this weekend. The Huskers will need to play some of their best football of the young season to win. However Nebraska’s depth, and play makers will probably just be too much for Indiana to defeat. Nebraska should be able to easily contain the weak Indiana rushing game which has been awful in 2016 which will allow the Husker defense focus on the Hoosier passing game. Besides being banged up on offense Nebraska has a ton of depth. A name to watch is Brandon Riley the senior wide out had a monster Junior Year but hasn’t been in great health to kick off 2016. Now healthy and in need of a big week look for Riley to be Armstrong’s top target with no Jordan Westerkamp and to play a big part in this football game. I think both defenses will play well but Nebraska’s offense is too good to be quiet all game and will be able to hold down the Hoosiers on defense. Nebraska wins to improve to 6-0 and hangs onto their Big Ten West lead. Posted in Indiana Hoosiers, NCAAF, Nebraska Cornhuskers and tagged Big Ten, College, College Football, Football, Hoosiers, Huskers, Indiana, Jordan Westerkamp, Nebraska, Nick Westbrook, Saturday, Tommy Armstrong.